Snootch have been together since 2001. They play a diverse selection of music from classic rock to metal, with a sprinkle of punk/pop and a couple ballads thrown in for good measure. They bring a professional attitude and an energetic show everywhere they play. 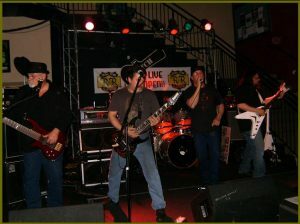 Come check them out, check the schedule page for upcoming shows.